Finca Rustica with a completely fenced plot of 3684m2, on the plot we find almond, olive and some fruit trees, pool, cistern to collect the rainwater of 60.000 liters and a well that should be deepened since the water table has fallen, the farm has a house built on one floor of 132 m2, includes four bedrooms, a bathroom, kitchen and a large living room with fireplace, also has a garage for a car. The farm is located in the place known as the Cohonares that although belongs to the municipality of Chinchón, is 3 km. of Titulcia and 7 Km. of Villaconejos. It has all the documentation in order, including declaration of new work. 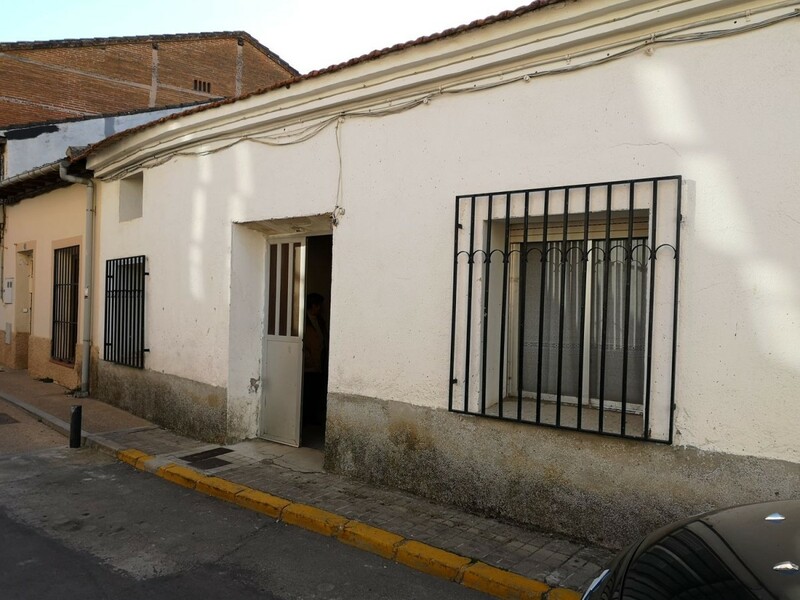 Beautiful detached house in the center of Miraflores de la Sierra. Type "village house" with patio. It has two floors and tower. Access is by two streets. Entering through Valverde you access a beautiful patio with fig tree that gives freshness in summer and allows the passage of light from south in winter. On the left there is an annex of two floors for housing and storage. Entering the front of the main body we find, on the ground floor hall, living room with fireplace and view of the two patios, kitchen with access to the patio, bathroom, another living room with fireplace and exit to the other street, where there is a parking place. It consists of two other large storage rooms. On the first floor, which is reached by the staircase, there is a distributor, five bedrooms, library room and bathroom. The tower has another space that nowadays is dedicated to bedroom. The qualities are rustic, with mud floor, wooden doors, wrought iron bars. Mudejar facade. Iron structure. Heating and sanitary hot water installations by propane boiler. Opportunity to have one of the most beautiful houses in Miraflores, ideal for housing or for business to be in town. 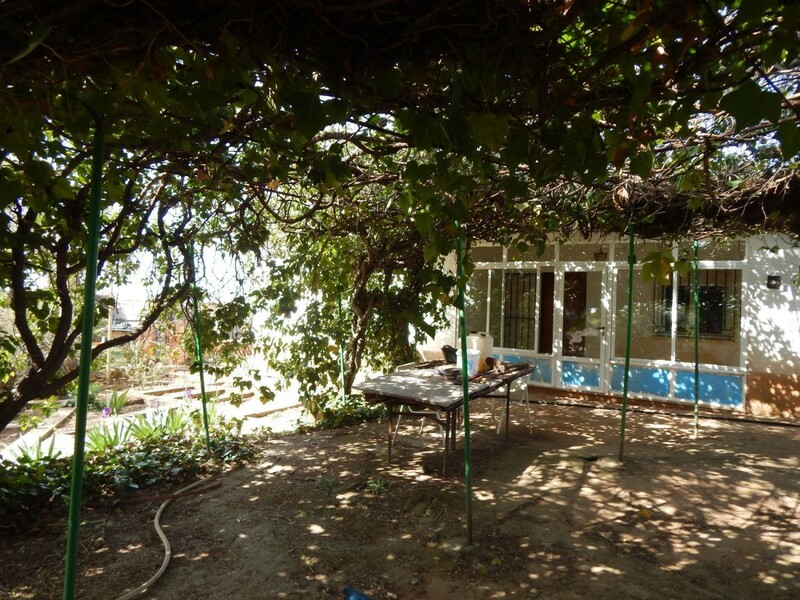 10.5 Hectares property with main house, guest house, 2 more houses of tools, pool, porch for cars, orchard, fruit trees. 44 km from the center of Madrid (45 minutes) and 6 km from Chinchón. 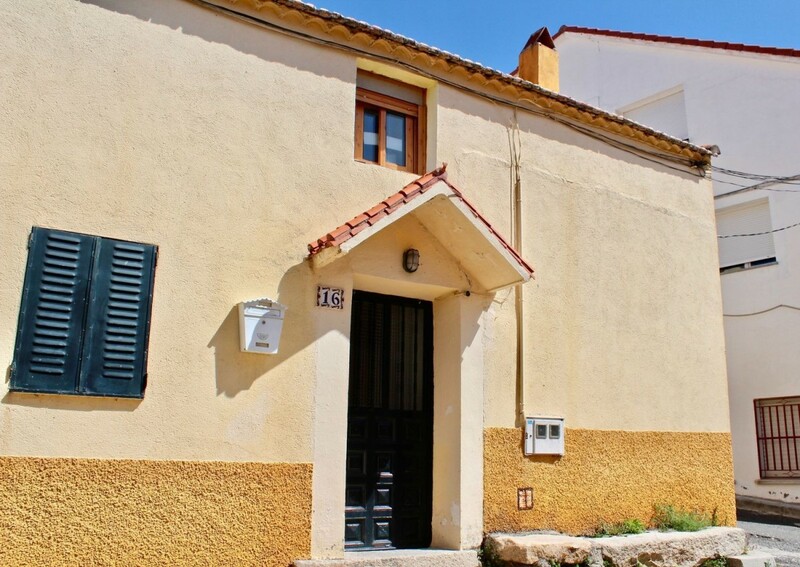 High quality finishes with doors, tiles and old balconies, terracotta floors, wood carpentry, marble, fountains, propane gas heating, air conditioning, well, light. All the facilities and stays are in very good condition. The main house is distributed over 2 floors: Ground floor: 3 entrance hall, guest toilet with hall, living room (12x7) with fireplace, dining room, kitchen, office, iron, cold room, large porch with wood oven and barbecue. 2nd floor with two access stairs: Master bedroom suite with dressing room, bathroom, living room with fireplace, terrace and small kitchen, 3 more bedrooms with 2 bathrooms, large terrace, separate guest apartment with living room, bedroom and bathroom. The guard house is attached to the main one with two separate entrances and one direct to the house. Guest house is distributed in: living room with fireplace, games room, kitchen, 3 bedrooms, 2 bathrooms, porch. Pool: with shower room and snack area. 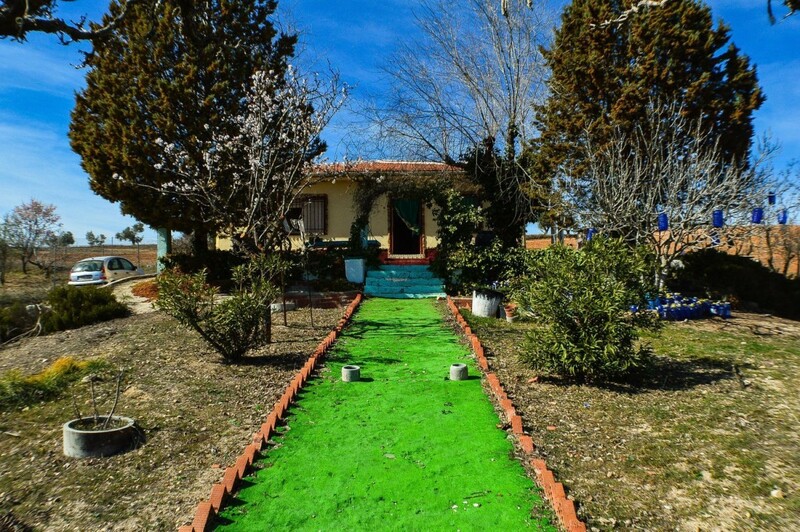 Well-kept gardens with fountains, irrigation, fruit trees, orchard. Very fertile land with the possibility of leasing the cultivable area. Three wells, one serves the house. It borders the Tajuña River and is very close to the San Juan Lagoon. Urbanized adjoining farms and neighbors. With bus stop next to the farm. Independent village house to reform. 53 square meters distributed in lounge, kitchen, two bedrooms and bathroom. 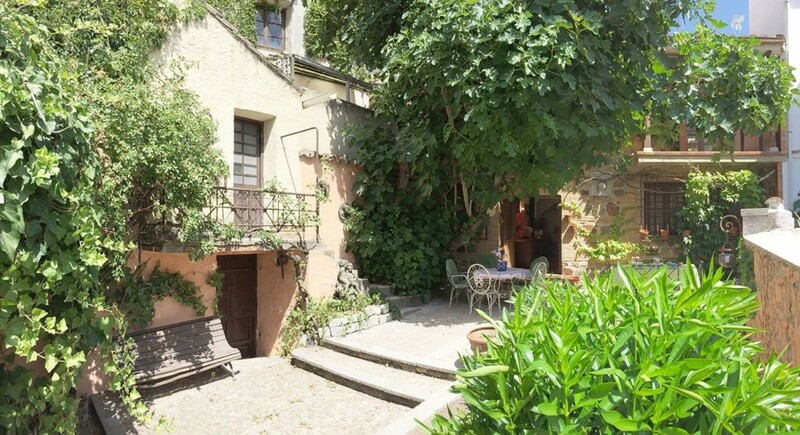 It has a cave of about 30 square meters ideal for cellar, included in the price. 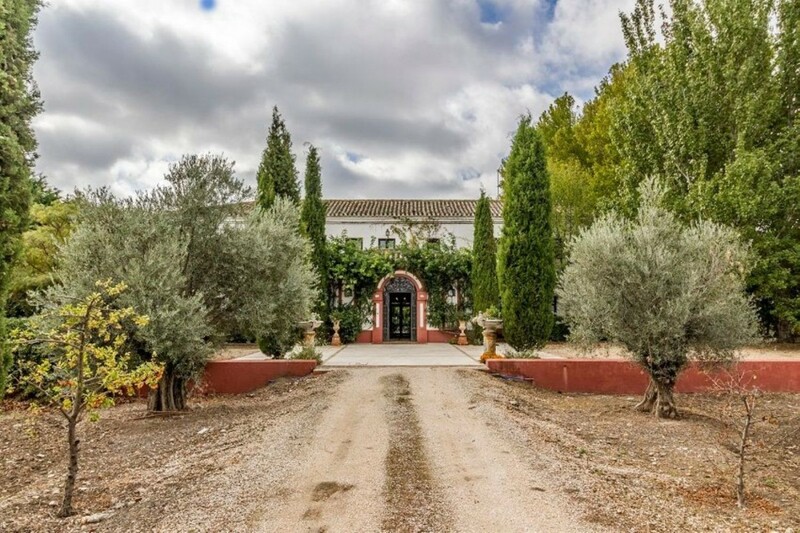 In this village of Valdemaqueda in the Northwest Sierra of Madrid Casa Rustica is sold where you can enjoy the tranquility and its people. It is a house with two floors with a lot of space to redesign and put to your liking but with very good foundations. Or to enter to live because it has all the services contracted and the current distribution is very comfortable. On the first floor there is the kitchen open to the living-dining room and three bedrooms with a bathroom, and in the second another two bedrooms with a bathroom and large living room. It is in the center of town with which you have everything very close, even the supermarket. Very well connected with Madrid by bus with the line 645 to Moncloa, and the 640 that goes to San Lorenzo del Escorial or 640A that goes to Robledo de Chavela, both towns connected by the Cercanías Train. If you prefer to go by road, it is only 64 km from the center of Madrid. Decide to change your life and enjoy the Sierra Noroeste of Madrid, your home at the best price and in the best place. House completely renovated in 2009. Distributed in three floors. The ground floor has a large hall, bathroom, storage room, pellet boiler room that heats the entire house by radiators. 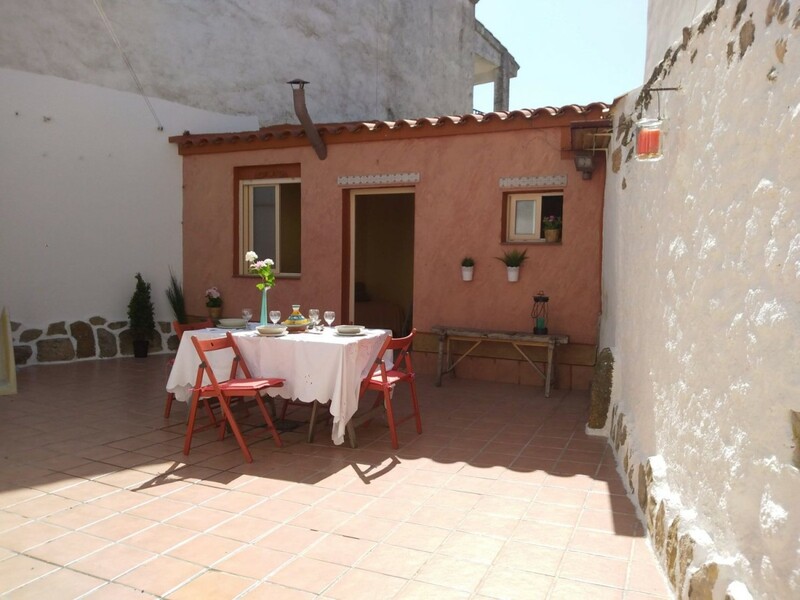 From this ground floor you access a beautiful patio in which an independent apartment was built, with toilet and kitchen, which was designed so that the bed is elevated. On the first floor of the house we find a distributor that gives access to the living room, with access to a terrace and kitchen. On that floor there is a very spacious bedroom, with full bathroom. The bedroom has access to a balcony that is on the main street. The upper floor, attic, allows to have a third bedroom with rustic wooden floors and exposed beam. 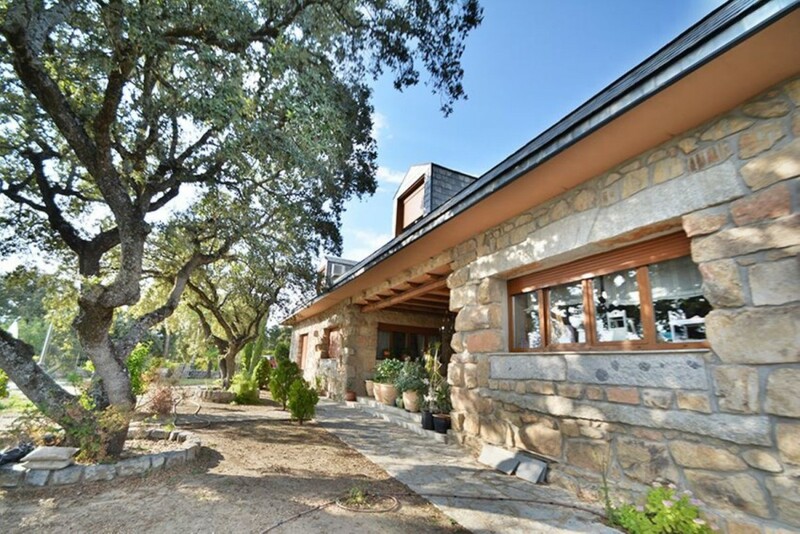 Great country house with 8000 m2 plot in Carabaña. The house of 144 meters is built on one floor and is distributed in a large hall, a very large living room with fireplace, fully equipped kitchen, three large bedrooms, a living room and a bathroom. It also has fitted wardrobes, a fantastic porch and pool. It has a gas boiler newly installed, The farm is self-sufficient with its own well and solar panels, although it has drinking water from Canal de Isabel II. It also has several tool sheds and for raising animals, including one for garage. Large area of orchard, various fruit trees and magnificent views of the valley. It also has an area with olive trees ready for exploitation. Carabaña is located in the District of Las Vegas, located on the banks of the Tajuña River, at a distance of 50 km from the capital. , 35 Km. from Alcalá de Henares and 25 from Arganda del Rey. It has an inter-urban bus with several lines. It is known for its famous extra virgin olive oil and for its famous purgative waters. It is an area of high historical and tourist value and has all the services: schools, ambulatory, supermarkets, shops, pharmacies, municipal swimming pool and sports centers. If you like the tranquility of the countryside and live less than 50 km from Madrid, do not hesitate to visit us. 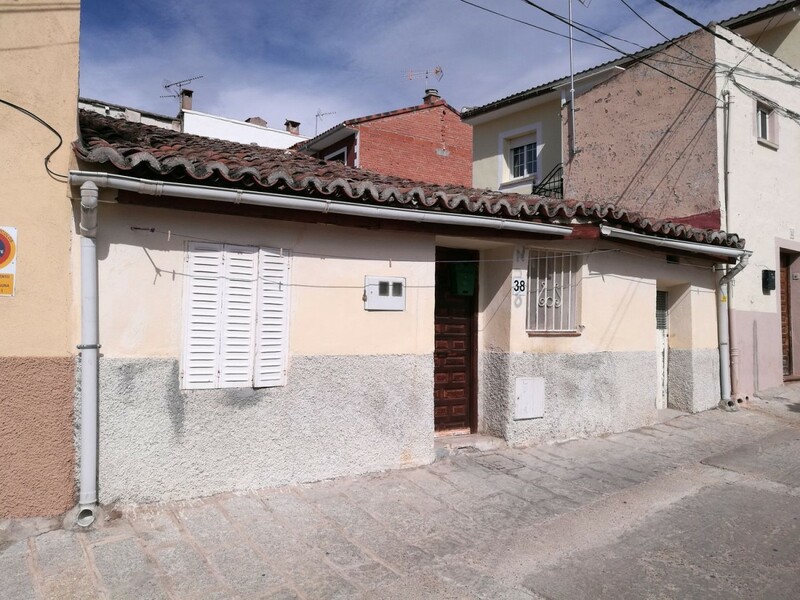 If you want to have the house of your dreams in the best location of Valdetorres de Jarama, this is your property. You can build the house of your dreams next to the town square or rehabilitate the current building and thus have all the amenities and services at the door of the house. The house is built on a large plot that was formerly used as an orchard and farm where you can install the garden of your dreams. It has three floors, the main floor has an entrance hall, living room, living room and three bedrooms plus two bathrooms, kitchen with fireplace and access to the upper floor through a staircase. The basement was used as a cellar. It is an opportunity to enjoy the rest after work 20 minutes from the capital. Call us and we will be happy to assist you!